What is the Annealing Heat Treatment? Annealing heat treatment is a combination of heating and cooling operations applied to an alloy or metal for obtaining the desired properties. Annealing for steel is a precise heat treatment of metal in which it is heated to a particular temperature and cooled down slowly to make it ductile and malleable. 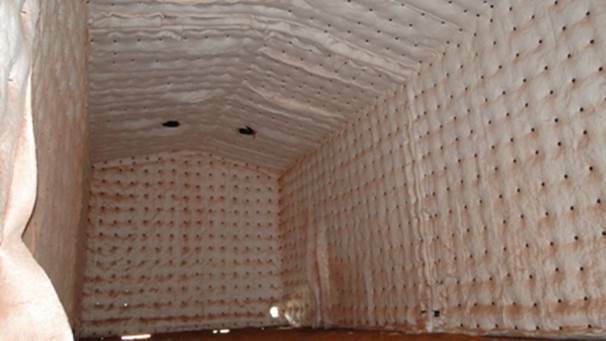 Heat treatment involves the heating and cooling without changing the physical state and shape of the metal. Annealing is vital metal processing step that helps in improvement of product properties and machinability in many ways. The process of annealing the metals consists of three major steps. The metal is heated to required temperature (Varies with metal). Holding it at the specified temperature for some time. Cooling at a proper rate (slow cooling). The annealing process is not same for all the metals; the difference lies in the cooling mechanism of the annealing process. For example, steel is heated to red hot 1000 ᵒC (1900 ᵒF) and cooled slowly for achieving desired properties of the metal. The combination of heating and cooling is used to obtain desired mechanical properties of metal. The application of annealing heat treatment is that the resulting metal is soft, can be cut and shaped easily. The annealing process helps in grain refinement and improvement in mechanical properties of the steel. In other words, the annealing heat treatment process makes the steel malleable, ductile and workable. The type of annealing heat treatment depends on the procedure and temperature adopted for annealing process. In full annealing the carbon steel is slowly heated to a temperature of 50 C (122 F) above the austenitic temperature (Lies between 750-900 °C / 1320-1652 °F) also known as “holding temperature,” and then cooled down slowly to the room temperature. The cooling rate recommended is 20 °C (68 °F) per hour. The long annealing time produces ideal softening. Full annealing is done inside the furnace. After reaching the holding temperature the furnace is turned off, and metal anneals inside the furnace. Once the metal is reached at 50 °C (122 °F) it can further be cooled to room temperature using air with natural draft. The basic heat treatment processes for carbon steel involve the decomposition or conversion of austenite. The appearance of these conversion products determines the mechanical and physical properties of any metal. The soft annealing heat treatment can be performed on steel and alloys of copper and brass. Steel with high carbon content is typically treated with soft annealing process which gives it softer and easier to work structure. The process takes about 12 to 48 hours and can be performed in continuous or batch-wise in the oven. The load is heated to the temperature of 800 °C (1472 °F). The metal is held at this temperature for 2-4 hours so that the structure fully converts into austenite. The temperature of the metal is quickly brought down to 790 C (1454 °F). Further cooling of this steel is performed at a controlled and steady rate of 10 °C (50 °F) per hour until the temperature reaches 690 °C (1274 °F). The metal is then cooled to ambient temperature. The structural changes in the steel make it soft. The cooling condition defines the degree of softness attained. The advantage of this process is that a soft and ductile carbon steel is obtained that has a good ability to form. The worked pieces of metals tend to have stresses due to work hardening or thermal cycling. The large castings such as cold formed, welded parts, etc. are heated up to the temperature of 600 to 650 C (1112 to 1202 F) and kept in this condition for hour or more. The metal is allowed to cool in the furnace till the temperature drops to 426 °C (800 °F) then cooled to ambient temperature slowly in the still air. Process annealing is similar to stress relief annealing. The process is used in wire and sheet industries to soften the steel by re-crystallization for further working without fracture. It is also used in treating the hardened parts of low carbon steel. The process involves the heating of steel to the temperature of 700 °C (1292 °F). The time is given for recrystallization and re-structuring of the ferrite phase. The steel is then cooled slowly. The annealing process is an essential industrial process and is used on various metals and alloys for obtaining the desired properties such as improved machinability, reduced hardness, produce desired microstructure, facilitating cold working, etc.